The EU-XCEL curriculum aims to ignite the prototyping and business modeling of feasible and marketable ICT solutions, while simultaneously building multi-nationality start-up founding teams capable of effectively work on a virtual environment. The “Start-up Scrum” is a one-week event that will take place across the six EU-XCEL partner countries of Ireland, Denmark, Germany, Greece, Poland and Spain this summer. Access to a bespoke virtual accelerator of continuous supports to assist your start-up team further develop and refine your start-up idea, during a 4-month period. 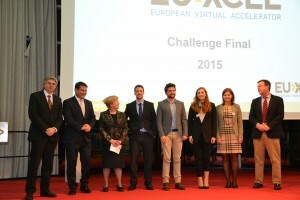 The goal of this virtual-phase is to get you “incubator ready” and provide you the opportunity to participate in the EU-XCEL Ultimate Challenge Final. 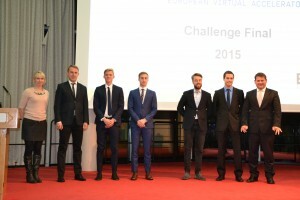 A cutting-edge jury will select the best start-up teams formed during the programme to connect with and pitch to venture capitalists, angel investors and successful tech entrepreneurs in the EU-XCEL Ultimate Challenge Final. 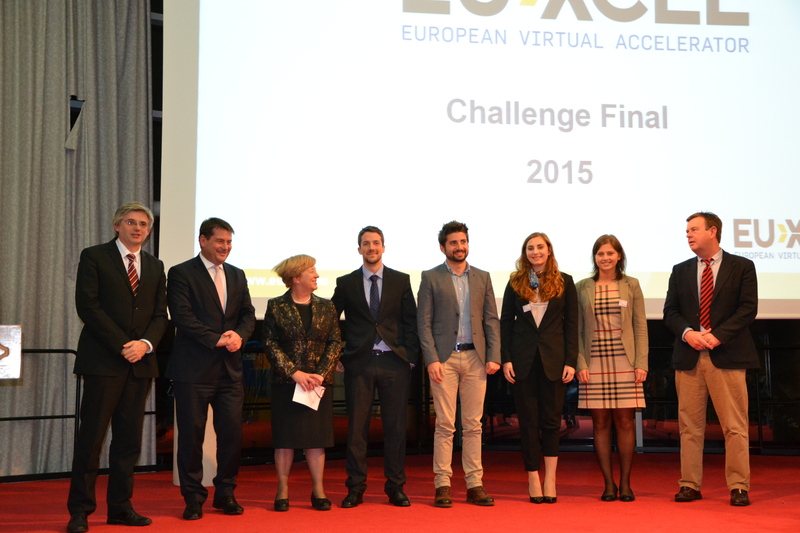 The 12 finalists taking part in the Challenge Final were SensusCare, CRAW.ly, DataMine, NearBuyNow, SpeechAngel, Nammy, Soceed, Too Too, Tamaze, BeSpaced, ABLE and WeQ4U. WeQ4U replaces theme parks’ physical queues with virtual ones, providing visitors with a better experience. The prize is 5000 euros. DataMine empowers researchers in the fields of medicine, pharmaceutical, life sciences and biotechnology to cure the most devastating diseases-cancer, stroke, and heart diseases. 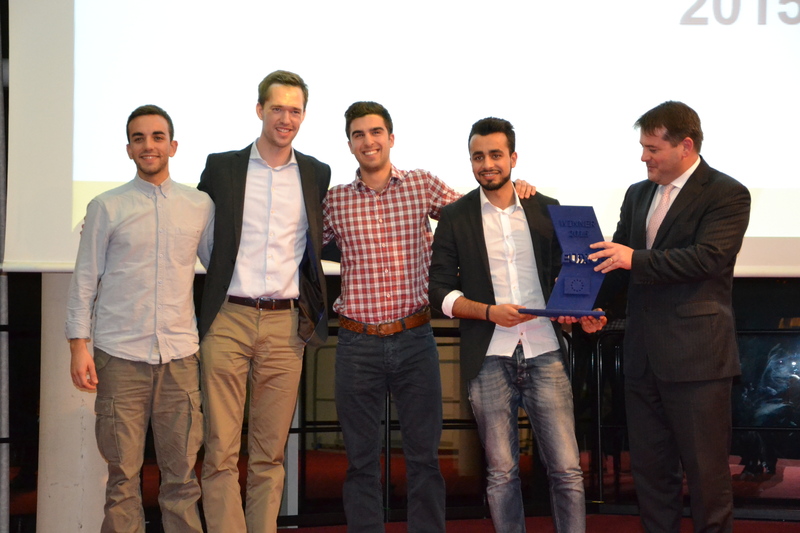 The prizes is 3000 euros. Craw.ly is a retail-price watch tool for manufacturers of consumer goods. 14 teams participated in the 2016 Final: Codappi, DOCYET, Drive Brands, Gondolaa, GoodLife, Mahoo, Mind Alcazar, Orthofy, POD, Pommi, RefReboot, Segura, Sproutify and VAT Back. Mahoo won the first place and 5000 euros, drive Brands the second and 3000 euros and DOCYET the third place and 2000 euros.